The contractors said they couldn’t do it. 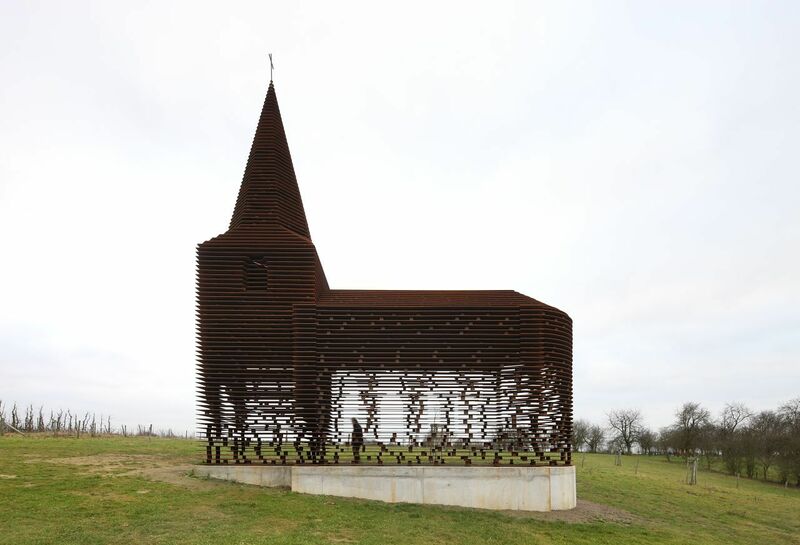 They hated the designs from many of the architects. The Zielinski’s wanted something different, but no one seemed to bite. What a reaction! Consider this … a large percentage of the general public does not get to experience a working relationship with an architect. Therefore, we have a responsibility to go out there and create great architecture for our clients. 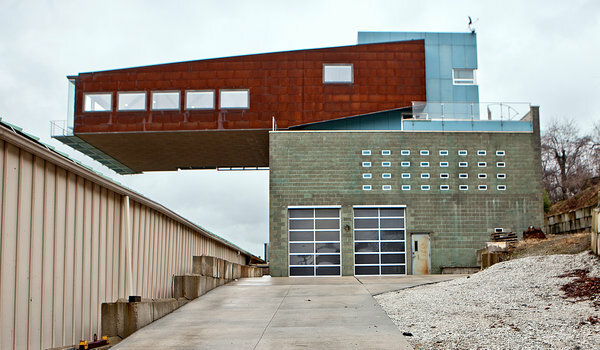 For the Zielinski’s, many of the architects they spoke with were producing bland, boring, or otherwise terrible architecture that did not meet their needs or wants. How disappointing … but then Fisher Architecture came along and showed them a path toward their dreams. And what a success it was! And if you haven’t seen “The Lorax” in theaters (or read the book for that matter), you need to see it! It is an amazing movie, not only from the fact that the story is from Dr. Seuss, but because it is amazingly relevant for our world right now. Go see it, and enjoy! Architecture puns and innuendos have to be some of my favorites, mostly because they were so much fun to create while in school. This year for Valentines Day it seems very fitting that they are being shared to express a love for others as well as a love for the field itself. If you think about it romance is always connected to architecture, especially in the movies. Why? because in “On the Town” Gene Kelly and Frank Sinatra they agree to meet the girls they’re crazy about on the top of the Empire State to start there night out. Sinatra sings an amazing song called “You’re Awful” while looking through the binoculars on the observatory deck. (Click the title for the YouTube Video). Sleepless in Seattle, Tom Hanks plays an Architect whose son tries to set him up with Meg Ryan and they meet at the top of the Empire State Building on Valentines Day. 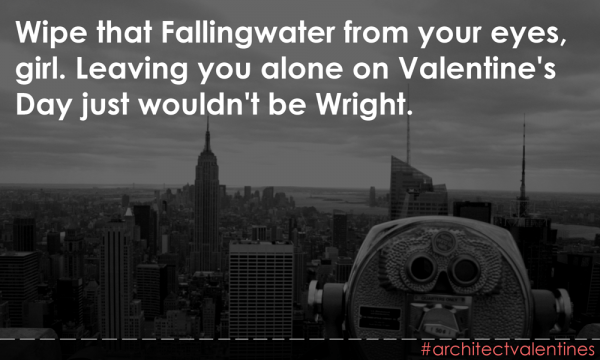 I encourage you to follow #architectvalentines on Twitter today and find that someone you want “Aalto” yourself, and let the romance of design become an inspiration to what the rest of the year has in store. 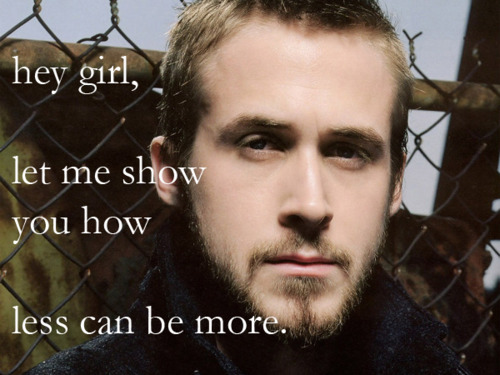 Also if you know a girl who really likes Ryan Gosling (aka Picture Above) you should check out this website: Architecture Ryan Gosling, complete with valentine quote ideas as well as interesting twists on taking architectural concepts (i.e. less is more) and turning them into pick-up lines. For all those recent grads and soon to be recent grads, remember we can make our own alternate timelines. There will be jobs eventually but in the meantime stay involved and enjoy yourself! The comic this Monday from XKCD was a depiction of money and it’s relative value.